Clay Aiken – Can You Remember? 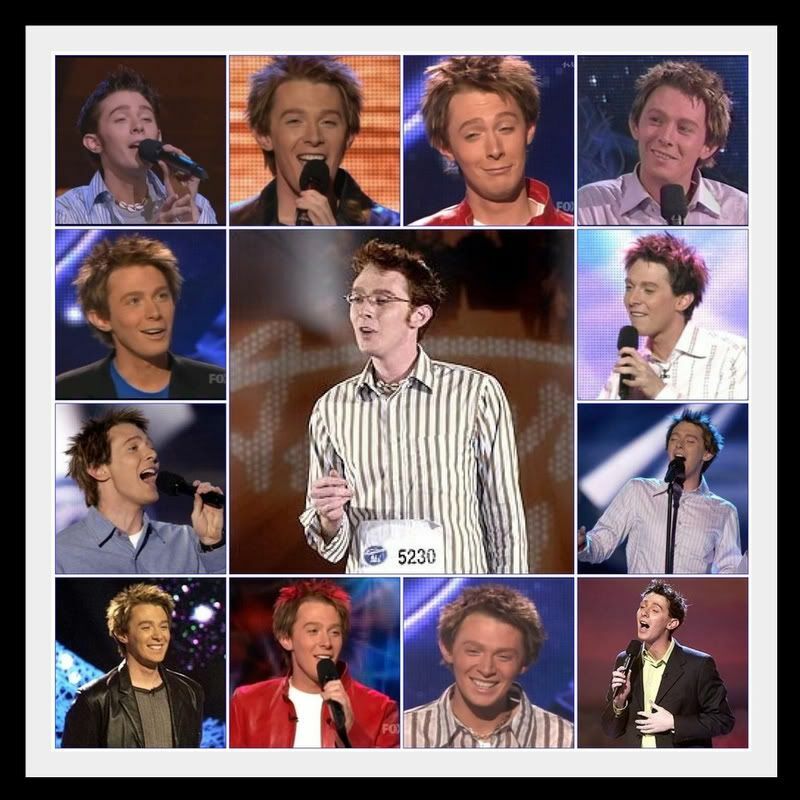 Clay Aiken has said more than once that he has moved on from his season on American Idol. For the last nine years, he has been busy recording albums, touring the country, starring on Broadway, performing on many TV shows, participating in many charitable organizations and being a Daddy! Yes, Clay is much more than an American Idol contestant. But…with Season 11 of American Idol starting next week, it might be fun to look back at Clay when he was a contestant on Season 2. After all, we got to know Clay on American Idol. So… lets have some fun. Magicalmusic made a montage of American Idol pictures. Can you match the picture with the song?? WAIT!! NO CHEATING!! Can you do it without looking at your Clack?? Some days you just have to have fun. So be sure and let us know if you were successful or if you had trouble. It will be fun to see how we all do. After all, its been 9 years!! I wouldn't even know where to begin with trying to figure that out!!! Thanks for the great pictures tho! I got most of them. That was fun! I was able to match everything. Hard to believe it's been 9 years already. Just curious how many people still watch American Idol? I stopped watching after Season 9. Clay sure has grown up since his days on Idol. I hope I can find some new talent to get excited about on Idol this season. Every year there are a few I really like, but I never continue to follow them once the show is over like I did with Clay. Error: Error validating access token: Session has expired on Tuesday, 21-Aug-18 16:13:01 PDT. The current time is Monday, 22-Apr-19 22:58:18 PDT.